3 Is It Bad To Wear Earplugs While Sleeping? 4 Who Needs to Wear Earplugs for Sleeping? 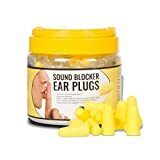 Of all the different types of ear protection available on the market, those earplugs which you wear to block out or reduce noise so that you can get some proper sleep are perhaps the most difficult to choose. This is because the best earplugs for sleeping (or the best earplugs for snoring) can’t just be picked out as a matter of looking at the Noise Reduction Rating. You have to consider a lot of features and weigh those up in line with your unique needs, as is explored through the reviews below. These classic earplugs from 3M have gone through somewhat of an evolution over their long production cycle. The changes made which became exceedingly apparent at around 2010 have caused mixed reactions among different users. Basically, if you’ve been enjoying using them for a while prior to the changes, the new shorter earplugs may be a bit of a bother for you. The type of foam they’ve been using to manufacture them seems to have been altered as well, so if these offered the perfect level of noise attenuation, you might view the changes as a step backward. For other users, however, shorter plugs make for a better fit and the slightly lower noise attenuation is more practical, sitting at a very decent level of 29dB. In practice, these fire resistant earplugs fit well for people with smaller ear canals and they stay in place quite well due to the low-pressure foam which returns to its original shape slowly. They work well to keep out sleep-depriving night-time sounds like a loud partner’s snoring, roosters (very early in the morning), loud insects like crickets, and just about any other noise keeping you from your sleep. They must sometimes be rolled a bit into a shape (cylinder) that makes them fit well. Another good set of foam earplugs, provided you use them as directed by the manufacturers. Before inserting, they must be rolled in your fingers so that they’re a little smaller. Hold them in until they’ve expanded enough to stay in place with no further support from your finger. Once they’re firmly lodged, the value starts to unfold, literally. You get a Noise Reduction Rating of 32 dB and if you compare this with other earplugs, it holds up to be one of the higher ratings. 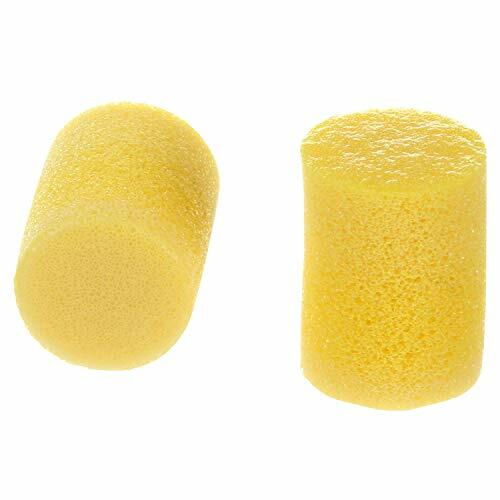 Other foam plugs with a similar rating are usually more expensive too, so for the number of earplugs you get (50 pairs equal 100 plugs), the value for money shines through. 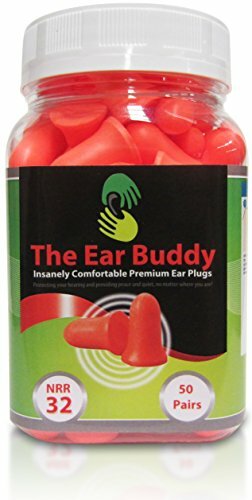 In practice, you can use these Ear Buddy foam ear plugs to almost completely block off noises that cause a bother, like the type of noise that comes from a fellow building tenant upstairs or even a snoring partner right next to you. These earplugs are one of the longest lasting ones around as well and you can get at a few uses. Be sure to wipe off earwax or dirt before each subsequent use, though, using a dampened cloth. Don’t get them wet either because that reduces their effectiveness, so no washing – once the foam wears, replace with a new pair. Trying to sleep better with the aid of earplugs that block out disruptive noise should never have to be at the expense of comfort. 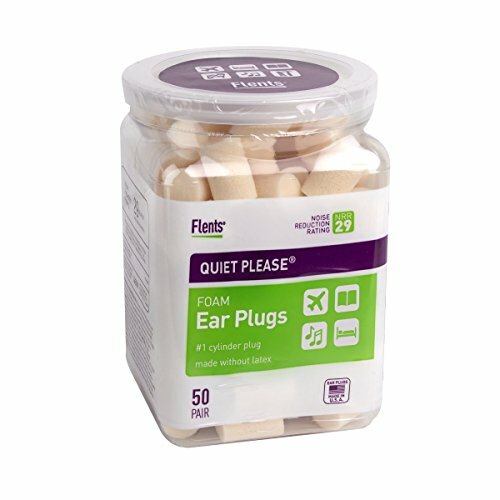 You still want to be able to sleep naturally and that’s what Flents tried to achieve with these Quiet Please foam ear plugs. They can be used beyond the bedroom though and are just as good for reducing harmful noises emanating from power tools, heavy-duty machines, traffic, neighbors’ loud music, etc. With a Noise Reduction Rating of 29 dB, these earplugs were never meant to completely block out all the noise you’ll be exposed to, but rather reduce it to levels which you’ll definitely be more comfortable with. So for instance if you’re trying to read a book in a commune where some people are watching television and perhaps your neighbors upstairs or next door are playing loud music, you’ll still hear those noises, but at levels which allow you to zone them out and focus on your book, or whatever you’re trying to concentrate on. They’re easy to use as well and are so comfortable that you might even forget that you have earplugs in your ears. So what does the tag of “America’s best-selling and original moldable silicone ear plugs” come with? Well, a comfortable fit across the board, for one, since they are indeed moldable and fit comfortably into any ear canal by assuming its shape. Second, they are great for use beyond just sleeping. You can reduce the impacts of disturbing noises while you’re studying, travel, flying, etc., but it doesn’t end there. These earplugs are naturally primarily manufactured for noise reduction purposes, but because of their ear shape-assuming properties, they are recommended by doctors to seal out water, like for swimmers who want to protect themselves against swimmer’s ear. The Noise Reduction Rating sits at 22 dB, which is decent enough for use to deaden snoring, loud insects and perhaps some noise from your neighbors with whom you share residence in an attached building. They can easily be used and re-used for about six days, but only for as long as they maintain their stickiness. Once the stickiness wears off, it’s time to dispose of the current pair and move on to the next. If you roll them up too much (it takes a bit of practice to get it just right), no worries because they’ll gradually take up the shape of your ear canal, which means the noise attenuation takes a little while before reaching full capacity. 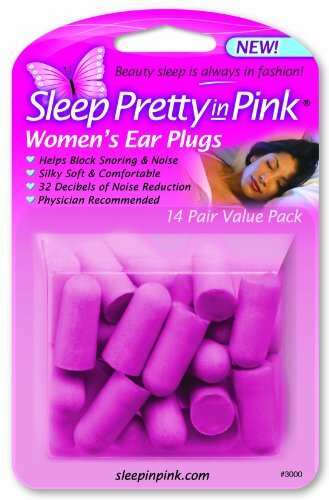 The name says it all with these sleeping ear plugs; “Soft Comfort.” They feature a uniquely contoured curve which makes them fit quite comfortably. The comfortable fit is enjoyed more by people with longer ear canals, though, which is probably still a good thing as a lot of earplug manufacturers seem to prefer producing shorter earplugs. Most of these manufacturers make their earplugs shorter as part of the evolution of their products, but with these Soft Comfort Flents the scale is balanced out nicely. Still, they’re perfectly sized in terms of their girth and even if you may feel that they’re too long for your short ear canals, they’re soft enough not to cause discomfort if you sleep on your side. You can also just cut off the slightly protruding ends if the length really is a bother. Otherwise, the contoured shape really offers unmatched comfort. A colossal Noise Reduction Rating of 33 dB puts the cherry on top for these earplugs, making them a real sleeping dream if you have a lot of ambient noise to contend with while trying to get some shut-eye. Always be sure to replace the containing tub’s top each time you take out a pair to use though because the plugs are individually prone to attracting dust. Being referred to as “new” should give these away as earplugs which have undergone an improvement process by the manufacturers. Now, before any regular users of these earplugs dismiss the manufacturers’ claimed improvements as mere lip-service, consider this; they only really work if you roll them a little in your hands first. If you just pop them into your ears as they come, you won’t get much joy out of them. So once you’ve rolled them into a nice longish shape (they must be slightly harder once rolled up), you can look forward to enjoying a good night’s rest aided by a huge Noise Reduction Rating of 33 dB. This is hearing protection that can be taken beyond the bedroom. The foam (PU) used is soft and returns to its original shape very slowly, which keeps them inserted comfortably for an impressive amount of time. 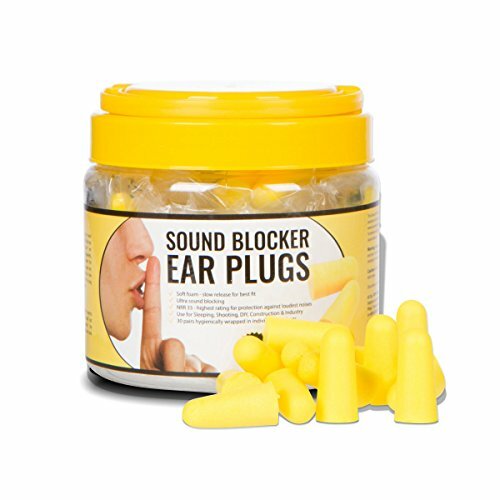 So whether it’s snoring you’re blocking out or some loud traffic noise from a busy street, just insert these earplugs properly and you’re good to shut out and filter noisy disturbances. This is truly a great way to ensure you get some much-needed sleep and you’ll definitely enjoy the improvements if you’ve used the preceding product. Brand-wise, this is one of the better makers of earplugs you’ll find around. 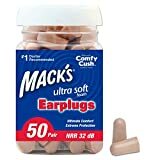 One of the most outstanding advantages of this particular product over similarly-priced earplugs from other manufacturers is that you get more earplugs for the same amount of money, which then translates into more value for your money. Comfort seems to be a give-or-take thing, however, but that depends entirely on how they personally fit your ears. If they’re a good fit, the comfort is great. 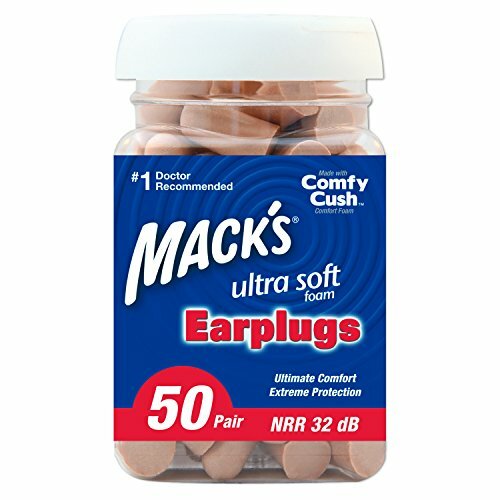 For a set of earplugs earmarked for sleeping, amongst other things, these Mack’s Care Ultra-Soft ear plugs have a very high Noise Reduction Rating of 32 dB. This definitely means you can use them for environments such as loud music at concerts, maybe watching the Grand Prix live or anything else really in addition to shutting out noise while sleeping. They’ve been produced in beige, which is apparently the color most consumers prefer, but their performance can perhaps be attributed to the extreme low-pressure foam used to produce their slow-reshaping property. If you’re using them to block out noise while flying, then you’ll get more than you bargained for: they help with the air-pressure fluctuations and you can even wear headsets over them. Another earplug product which has gone through an evolutionary period, Flents Quiet Please earplugs have been shortened in their design and are non-tapered. This makes the earplugs more comfortable in terms of their fit, but also makes it more comfortable for those who sleep on their side, or in any other position for that matter. No latex used means no skin irritation or the development of latex-based allergic reactions. These earplugs are rated at 29 dB, a good Noise Reduction Rating for earplugs to be used to soften loud noises which could otherwise prevent you from sleeping soundly. They can also be used to lessen noises for studying and working with heavy-duty machines which give off noise levels akin to traffic and loud music. The earplugs are not as firm as they used to be before and if you’ve been using the same brand before the changes, the somewhat reduced sound attenuation may be a positive or negative thing – it depends on how much sound you want to let in and how much you want to reduce. 100 pairs are made to be re-used once only, after which time they don’t compact quite enough to comfortably fit in the ear. These foam earplugs from 3M offer some great protection for your hearing and they’re quite comfortable too. 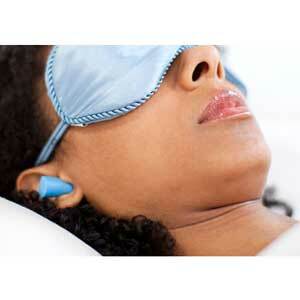 This makes them a good choice to block out noises which could otherwise disturb your sleep. A very impressive Noise Reduction Rating of 29 dB means they can be used for more than just sleeping as they do well in very loud environments, such as those which project up to 100 dB. These foam plugs aren’t washable though and they’re only reusable for as long as you can keep them clean. Once they become dirty you should dispose of them and use a new pair; that’s probably why they come in a pack of 200 pairs. The foam used in these earplugs is markedly denser than many other products in the same category, which makes them quite a firm. That makes the seal a bit tighter in your ears and that’s perhaps what makes them so effective in blocking and reducing noise. They do tend to get a bit too rigid if the temperature is low, however, but you can loosen them up by simply warming them up with your own body heat, from your hands. Well, generally women have smaller-sized ear canals, so the pink color and associated feminine appearance isn’t the only way in which these are perfectly made for women. In fact, if you hesitate to try them out it might be because of the way they’re packaged; it seems like a bit of a gimmick, but you can take it on good authority that it’s not! Firstly, you get a huge Noise Reduction Rating of 32 dB, which means you have 32 reasons to save your marriage from the annoyances of a snoring spouse. Secondly, well let’s face it – they look cute in their pink color, which is a welcome “sleepy-time cuteness” because we all know how ladies are about how they look in their sleeping gear. 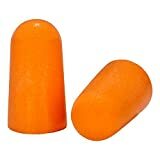 Other than that really these earplugs work like a dream to stifle loud and disturbing noises at night. Amazingly enough, they filter through just enough “good” sound for you to hold a conversation with anyone who is right next to you, so they’re helpful in many ways. They’re also just made for women because they’re shorter and fit into women’s generally smaller ear canals and they offer some real value for money because you can use and re-use a pair for a surprisingly long time. You need to think about those little intricate details like exactly what you want to use your sleeping earplugs for. Well the term “sleeping” sort of gives it away, but what exactly generates the noise you want to keep out and are you going to use them to sleep in your bed at home, on the couch at a friend’s house, or on the plane? All of these considerations matter because then you’ll know what type of earplugs to choose in terms of the size, fit, comfort, and whether or not they’re reusable. Do you sleep on your side? Do you still want to hear your alarm clock in the morning? Do you still want to hear your partner speaking to you? When all of these things are considered, it becomes more apparent that it’s not such an easy decision after all. At this point, all you have to pay attention to is how deep your ear canal runs and how wide your ear-opening is. It’s all relative really because this ear and shape consideration only really comes into effect when you actually try on a pair of earplugs. Even if you check out the diameter and length (volume) on the product pack, the only way you can really know whether your selected earplugs will be a good fit or not is when you try them on. The challenge with that is you can’t really try a set of earplugs on until you buy them and sleeping earplugs usually come in very large packs. So the next best thing is to look at the volume…well as a start at least… The fortunate part of this same consideration is that most sleeping earplugs are usually made of a material that can expand and contract, whether it’s foam, silicone, rubber, soft plastic or anything else. For that reason, considering the length diameter without having the chance to try them on makes for a good way to consider earplugs according to the shape and size of your ears. This is simply a matter of knowing what you’ll be exposing your ears to. If for example, you are prone to a latex reaction due to an allergy, you would then obviously steer clear of any earplugs which have latex in them. The same applies to the rate at which your ears produce earwax. If this rate is anything markedly out of what you think is ordinary, then you’d have to consider earplugs made of a material which can absorb some of the earwax and subsequently help remove it when you take them out. You’d then also consider looking at whether or not you want disposable or reusable earplugs, for considerations beyond what the earplugs cost and the perceived value for money you get. Once those three questions are answered, it becomes a bit easier to weigh-up guidelines such as comfort, how easy it is to insert and remove the earplugs, how secure they are in your ears, exactly how you’ll be using them, and the all-important Noise Reduction Rating. It would otherwise simply not do you any good to read up extensively about things like comfort, the way the manufacturers describe such features. For example, a manufacturer can say that their earplugs are made of a soft foam and, therefore, offer comfort, but what if you have smaller ear openings and the diameter of the earplugs is uncomfortable and hurts when inserted? We’ll maintain, the ultimate way to find the perfect sleeping earplugs for you is perhaps to try out a few options. If you are in a position to do so, buy smaller promotional packages or borrow a pair from a friend, roommate or spouse’s package. Disposable earplugs do tend to come in larger packages of 50 to 100 pairs, but they can go as low as 10 pairs or even as high as 200 pairs. Keep in mind that the really big packs are more prone to having some defective earplugs, so it’s a balancing act either way. The next best thing to do is try out a specific brand and then compare its performance in relation to your own personal needs, with different brands and makes which have features and credentials closer to your needs. For example, if you buy a pack of earplugs which appear to be a bit too long for your own ear canals, but at the same time you’re happy with the diameter and the stiffness/softness, then you might simply use a comparison and review site like ours to search for earplugs of the same make, but perhaps which are shorter in this instance. Manufacturers usually do make provision for such slight variations to accommodate different consumers, so you’ll often find something similar to what you’re currently using from the same manufacturer, with just one or two variations in the features you personally require. Noise Reduction Ratings carried by sleeping earplugs generally come at around 32-34 dB, which is very high, so it generally just becomes a question of how they fit and what effect they have on your ears, presumably after prolonged use (like every night). Is It Bad To Wear Earplugs While Sleeping? This is a very valid question and one which only serves to show that although you’re taking steps to seize back control of your sleeping patterns, you’re also astute enough to consider the risks of using earplugs. As long as they’re used properly, however, the very real risks associated with using earplugs can very easily be avoided and you can enjoy a good, long and incident-free relationship with these very small but valuable products. Since the primary aim of using earplugs for sleeping is indeed to reduce or block off those noises which are keeping you from sleeping, the operational risks involved with using earplugs take the form of having them not working too well. Sleeping earplugs with a very high Noise Reduction Rating could block out too much noise, such as your morning alarm, or they can even muffle sounds you otherwise want to hear. Things can even get dangerous when you consider alarms such as carbon monoxide detectors, smoke alarms, and safety alarms. The biggest risk associated with sleeping earplugs is one which emerges mostly from their effect on your natural flow of earwax. The production of earwax by your inner ear is a natural biological process which regulates foreign agents such as bacteria and dirt, and it also normalizes your ear pressure. So basically as much as inserting sleeping earplugs filters or blocks sound from entering, it also blocks earwax from getting out. The earwax produced in this manner is usually very small and can’t really be seen invisibly noticeable amounts, and so the danger lies in not even realizing that there is a subsequent build up of earwax through the improper use of earplugs. 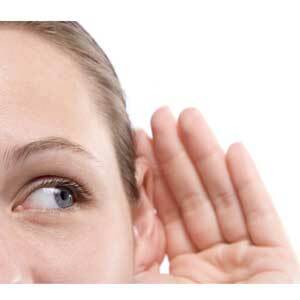 It basically all comes right back down to the role earwax plays in regulating the contents of the ear. Earplugs obstruct the exit path of the earwax, so that’s where the question of whether or not it’s bad to wear earplugs while sleeping should focus. If we were to give a one-sentence answer to the question of whether or not it’s bad to wear earplugs while sleeping, it would be that it’s not bad as long as you use them as directed by the manufacturers and as long as they fit comfortably. As long as your sleeping earplugs fit you properly and they’re comfortable, the risk of their use going badly for you is minimized all the way down to being negligible. So how do you do that? Always ensure to use a clean pair of earplugs to avoid dirt, dust and earwax build-up which all carry the risk of leading to infection. Ear infection can be very difficult to get sorted out. So clean those used earplugs which can be reused, otherwise, always use a new pair. So wearing earplugs for sleeping is not bad; what’s potentially bad is the consequences of not using them properly, as directed by the manufacturers. Who Needs to Wear Earplugs for Sleeping? There are very few things in this world more annoying than feeling as if you’re suffering alone, especially if the cause of your suffering and annoyance doesn’t seem to even register in the slightest bit to whomever or whatever is causing that irritation. If you can’t sleep at night because of a snoring partner, for instance, you can’t help but wonder how they themselves can sleep amidst their own loud snoring. You might even wonder whether you yourself unknowingly snore when you finally manage to get some much-needed sleep. The same applies to noises such as those generated by insects such as crickets, annoying noises created by distant roosters kept by your neighbors, or even your neighbors’ loud music which only seems to be amplified by factors such as adjoined apartments. See our earplug guide for concerts! In cases where your valuable sleep is being eaten into by inconsiderate neighbors or even housemates, speaking out may work, but usually, only works for a while. Conscious noise-makers just don’t get it and you’ll find them back at it in no time, with no signs of showing any courtesy to your co-existence or perhaps not even remembering your sensitivity to the high levels of noise they generate. If confrontation (not necessarily extreme confrontation) doesn’t work and your kind requests for your ambient noise-makers to tone it down a bit fall on deaf ears, the next best thing is to invest in earplugs. This also applies to those situations where it’s physically impossible for the noise sources to tone it down on request – I mean you can’t ask your spouse to stop snoring because clearly, they aren’t consciously aware of the fact that they are snoring while it’s happening. You also can’t practically go out at night with the shoe in hand to hunt down a cricket which seems to be strategically stationed right outside your window to annoyingly sing you what it naturally knows to be its mating call. Structurally, earplugs are very simple, but if you use them correctly and if you get the right ones for you, they can deliver some value you could never put a price on. Think flying economy class for a business meeting you’re going to attend and the crying baby next to you is keeping you from getting some sleep before your career-deciding presentation. Think a loudly snoring partner who refuses to get professional medical help for a “condition” they maintain you knew all too well about before committing to the relationship. Think to try to study while your roommates have the television on at volumes which could wake your dead grandmother up, or upstairs neighbors who for some reason think everybody, including you, in particular, has the same taste in music as they do and appreciates their antics as self-appointed deejays. Sleeping earplugs can come in handy in a number of high-noise situations, even if you’re new to a particular area where perhaps the cars just keep going the whole night and you’re finding it hard to adjust to the noise that comes with city-dwelling. You might perhaps even be close to an airport terminal where you can literally hear the planes flying a few meters above the roof of your apartment. I suppose we could add in their shape as well, but best sleeping earplugs are manufactured so that their shape can be manipulated, with the very best of them going as far as conforming to the shape of your ear canal once inserted. It’s all about the material used and how moldable that material is, otherwise sleeping earplugs will generally give you a high Noise Reduction Rating or up to 33 and 34dB. Depending on how they fit and their wear and tear (based on how many times you use them), some sleeping earplugs can offer lower ratings of around 22dB. A lower rating isn’t necessarily a bad thing because in some situations all you want is for the noise to be turned down just a few notches, like perhaps you want to shut out the loud snoring of your partner, but while they’re still awake, you want to be able to hear them when they’re speaking to you. You might also want to hear your alarm clock when it goes off in the morning, etc. 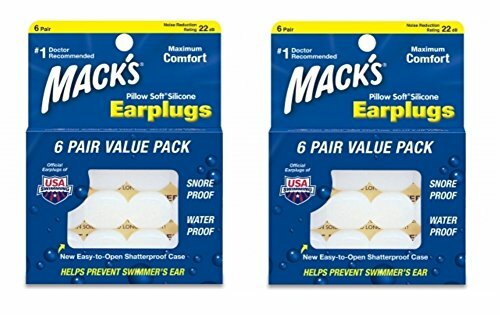 A lot of sleeping earplugs are also quite extensible, like one brand which we’ve featured on this site that is recommended for swimmers by doctors. Although we do our very best to bring you more valuable information about the best earplugs for sleeping so that you can make an informed buying decision, we must concede that in an ideal world, it’s best to try the different products out first so that you can find the best ones for you. Picking out the best earplugs for snoring, for example, isn’t as simple as reading through the features list and then having the first pack you settle on working out perfectly. There’s essentially no way of really measuring the depth of your ear canal in relation to its diameter, so you might go for ear plugs that are deep enough to fit into your ear canal longitudinally, but those same ear plugs could be too narrow to firmly lodge in your ear opening. The next best thing to do is with the aid of our platform, zone-in on a few brand which appears to be more in line with the anatomy of your ears. If you start with one pack (and one brand), it’s much easier, from then on to move towards earplugs which are better suited to your specific needs.